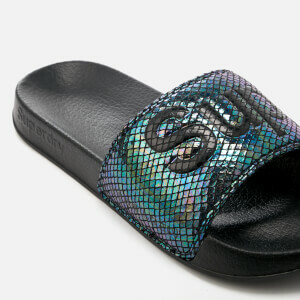 Women's pool slide sandals from Superdry with an open toe design. 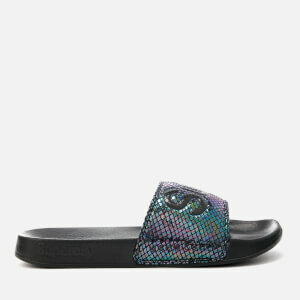 Constructed with an iridescent, snake-effect strap across the vamp with contrasting branding that spreads across both feet. Set on a moulded EVA footbed with a patterned tread for optimum grip and comfort. Complete with tonal branding to the midsole.